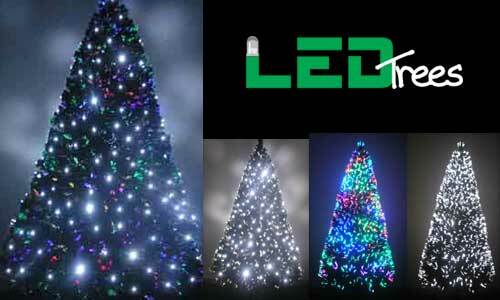 New fiber optic Christmas trees powered by energy saving L.E.D. 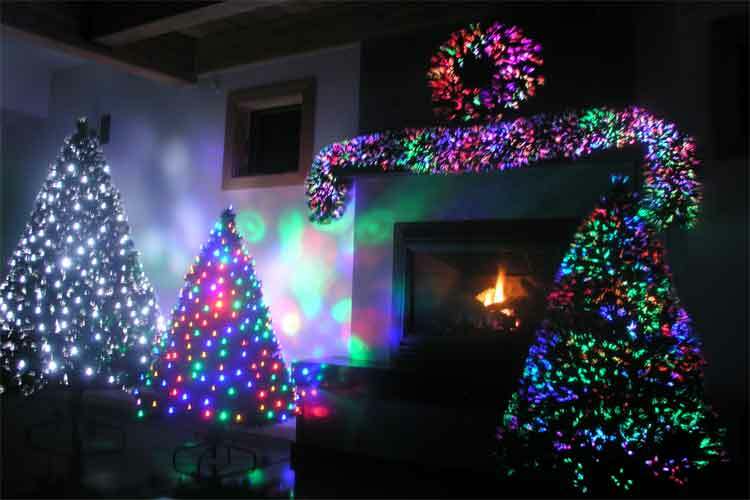 lights with Multi Color LED Lights added. 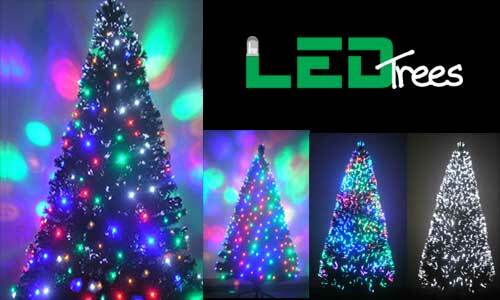 This combination pre lit artificial christmas tree & fiber optic tree has the ability to switch to all fiber optics, all led lights, or both. Comes with 8 extra color rotors and an 8 funciton controller to control the led lights seperately. 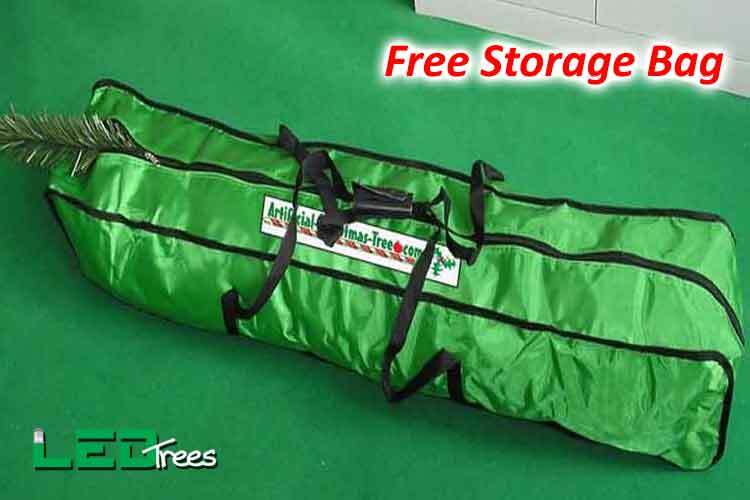 Easy to set up, trees simply place tree into stand, and fluff branches to your liking. 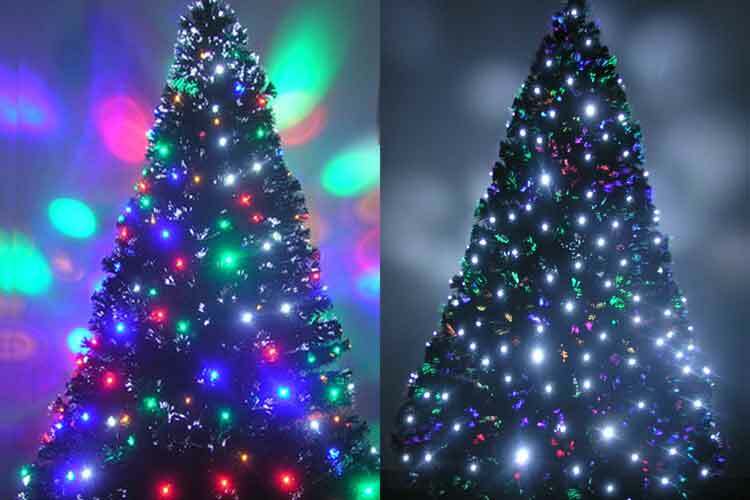 Currently we offer these color pre lit fiber optic tree in sizes 5ft pre lit tree, 6ft pre lit tree , 7ft pre lit fiber optic trees.